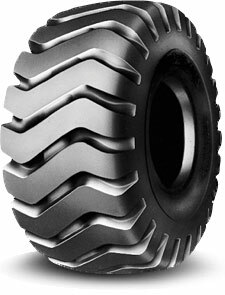 For grader use on rock, coal and log-strewn terrain. Tough tread prevents cuts and snags. Large ground contact area provides long service life.